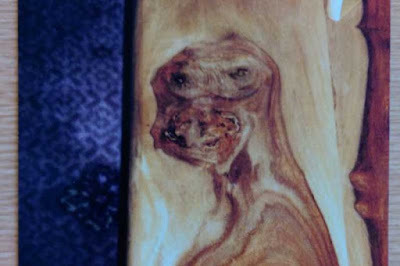 A man was surprised when he discovered an image of an alien in his furniture. Geoffrey Kershaw spotted the face of a strange being staring out at him as he assembled a new coffee table at his home in Rawtenstall, Lancashire. 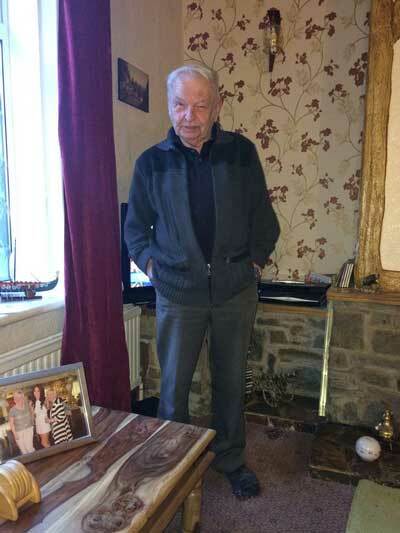 Mr Kershaw discovered the table at a Heart Foundation charity shop in Burnley. It is made of solid rainforest hardwood, but according to Mr Kershaw it is still very unusual. He said: “I was doing national service in the Army in the far east in Malaysia and I saw unusual woods there but nothing like this. “The wood is a freak of nature, it’s frightening. The eyes stare out and follow you. I’d say it’s definitely unusual.” Despite resembling an extraterrestrial, the grandfather-of-four isn’t afraid to have it in his home. “It’s got a lamp on it now and family photos. It’s just a coffee table in the end,” he said. Looks like a cross between a Teenage Mutant Ninja Table and ET with really lousy teeth.